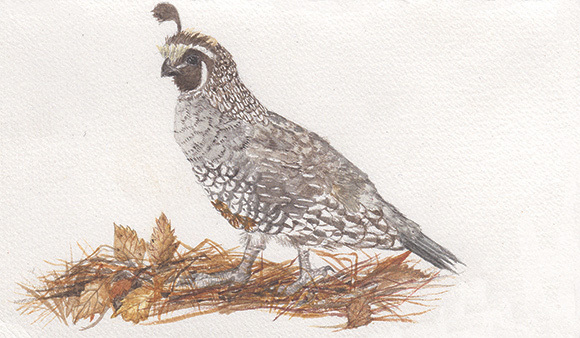 The California Quail is such a delight to behold. When one sees an adult their is usually a group of chicks that follow. They are symbolic of opportunity and abundance.